One of the North of England’s major cities, Manchester has a population of over half a million, with over 2.5 million people living in the greater surrounding area. Greater Manchester is the UK’s second most populous urban area after London. Serving the culturally diverse population are over 200 funeral homes operating across the city. With a relatively large proportion of Chinese, Arab and Asian residents, Manchester is a multicultural city, home to many different religions, including Islam and Hinduism. As a result, many Manchester funeral directors have experience arranging funerals for people of different faiths and there are several funeral homes specialising in offering Muslim funeral services. Approximately 20% of people living in Manchester identify as having no religion. This means that most funeral directors in Manchester are likely to have extensive experience with secular, non-religious or Humanist funeral services. Manchester City Council operates seven cemeteries in the area, with a cemetery and crematorium at Blackley. These cemeteries are open every day of the year, while cremations take place Monday to Friday. Other crematoria and cemeteries are available in Altrincham, Stockport, Tameside and Salford. 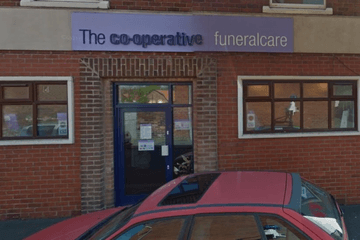 Search using your postcode or area to find local funeral directors in Manchester. You can then order results by best rated, most reviewed or nearest to you to see what is available in your local area. Click on a funeral director’s profile to learn more about the services they provide, read independent customer reviews, and find out how to contact them to discuss funeral arrangements for your loved one.